For the current crop of state-of-the-art prosthetic arms, you have to control the fingers and finer movements with your feet. It takes a lot of getting used to and is completely unlike using a normal arm. But a new model purports to be controlled by thoughts, which could be revolutionary. It's especially good news for quadriplegics, who don't have the option of controlling an arm with their feet. 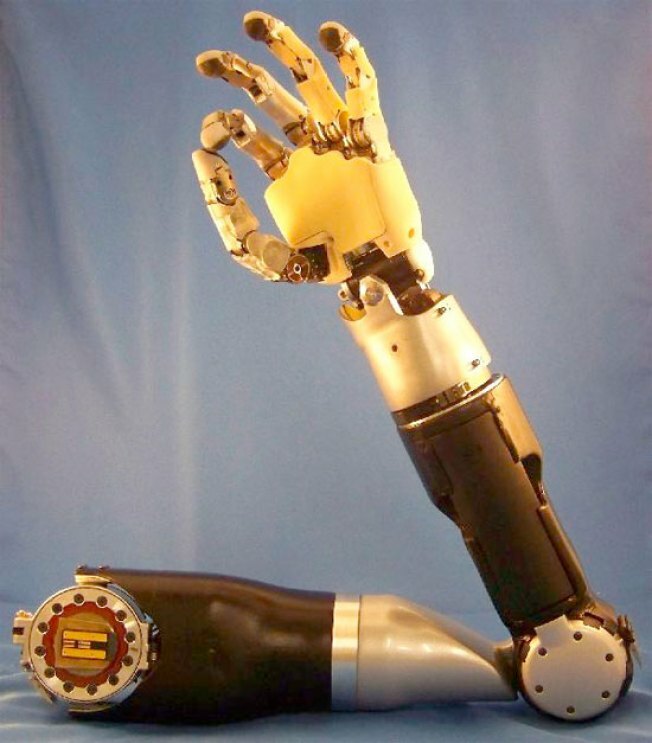 That's who will get the first system, testing the arm's ability to sidestep spinal injuries. It will be controlled via sensors implanted in the brain, and it'll work both ways, with sensors in the fingers sending signals back to the brain. Pretty amazing stuff. Will it work? We'll see, but I sure hope so. It could be revolutionary.